I chair the Higher Education Commission, which draws members from business, academe, and Parliament, and which holds inquiries designed to enhance higher education. I co-chair each inquiry. Our latest report, on degree apprenticeships, was published on Tuesday and launched in a packed Jubilee Room of the Palace of Westminster. The report recognizes the value of degree apprenticeships, not only to students but to the UK’s economic recovery, but shows the extent to which the delivery is hampered by a lack of coherence and co-ordination. The standards for the degrees are often not fit for purpose and the process of approval slow. 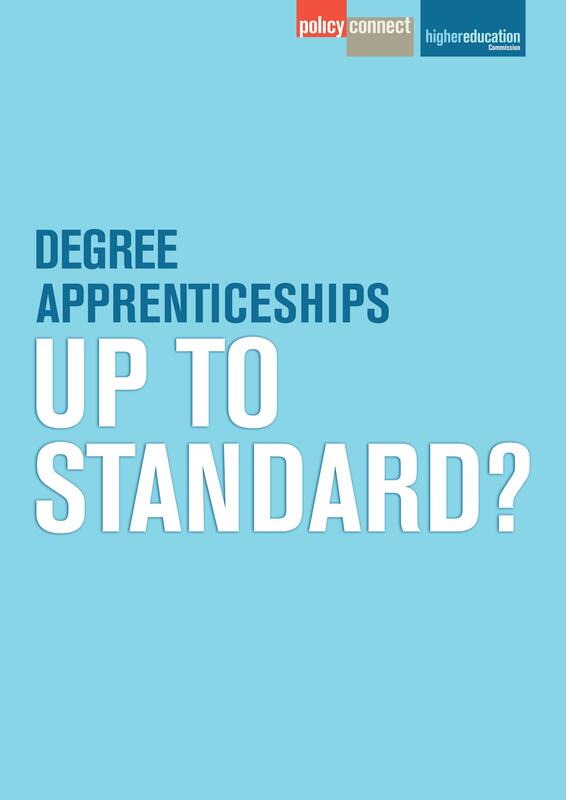 There is a dearth of providers: of 51 approved degree apprenticeship standards, 43% have no providers able to deliver to small and medium enterprises (SMEs) who are non-levy payers. There are also degree apprenticeship ‘cold spots’ in areas of severe educational and economic disadvantage. Students in these areas tend to have to travel substantial distances for the nearest provider, whereas students in more affluent areas do not. As we conclude, degree apprenticeships have the potential both to improve social mobility and increase economic productivity, but to realise the potential various changes are necessary. We advance recommendations designed to ensure that the policy objectives are met. It was clear from the response at the launch that the report has identified a significant problem as well as put forward valuable proposals to address it. More details can be found here, including a link to the full report. This entry was posted in Uncategorized and tagged degree apprenticeships, Higher Education Commission. Bookmark the permalink. Could this be another sell out for the British people? Again, inept politicians with too much tax payers cash ready to throw around willy nilly. Why not try ‘hard rock’ lessons in six easy instalments or perhaps, a few more crying rooms to make sure the vulnerable skills are passed on in an appropriate way. ‘How to make sure you carry the right phial of eye watering juice to produce the needed red nose.’ Now that is a wicked way to get the top TV morning show slot. It makes it even simpler if you’re grossly obese.